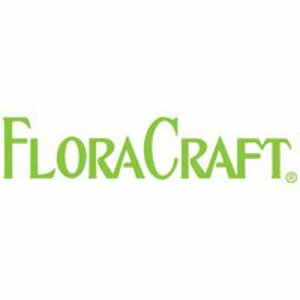 FloraCraft®, locally owned and operated, has been serving the craft and floral industries for 65 continuous years, providing quality STYROFOAM™ Brand Foam in shapes and sheets; Artesia® wet foam, natural straw products, and other craft and floral essential products. Dedicated to helping beginners and professionals achieve their best results, FloraCraft products are the foundation of every great project. Operating from its headquarters in Ludington, Michigan, FloraCraft has facilities in Arkansas, California, and Mexico, with approximately 300 employees. From these locations, our product is shipped through out the United States, as well as countries around the globe. Giving back to the local community through support of year-round, employee driven participation in a variety of collections & drawings for programs like the Thanksgiving “Fixing Bags” Food Drive for Mason County, and the Holiday Toys for Children drive. Support of the local schools, and non-profit organizations. Active member of local manufacturing societies and chamber of commerce. Recycling over 98% of Styrofoam* fabrication waste. Every piece of scrap and dust is collected and reused in other FloraCraft products or sold to companies who utilize recycled material in their products.